If you asked me which I liked better - cupcakes or frozen treats, I'd take Atticus' approach and say "both" with a squinty eye that asks why do I even have to choose? This is probably why we love the YoLo Midtown location so much. 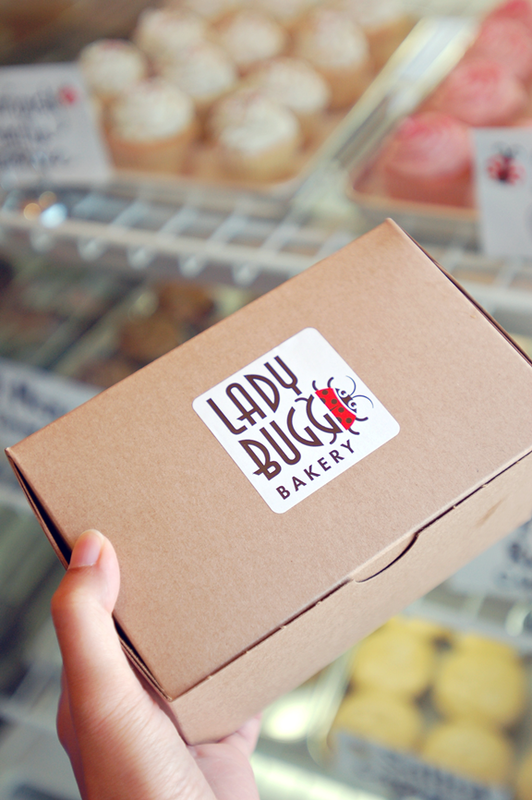 The frozen yogurt and topping selection plus rotating flavors of gelato and a bakery offering cupcakes, cookies, and now breakfast items are all in one stop. 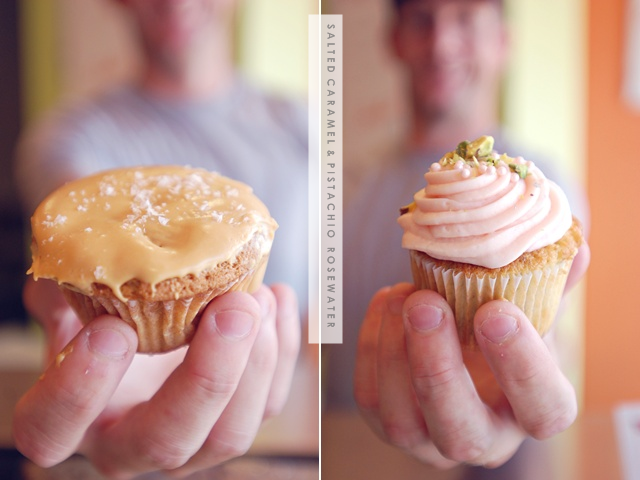 We tasted LadyBugg Bakery's popular salted caramel cupcake and the pistachio rosewater cupcake. The cake itself was good but the delicious frostings dressed them up so nicely.